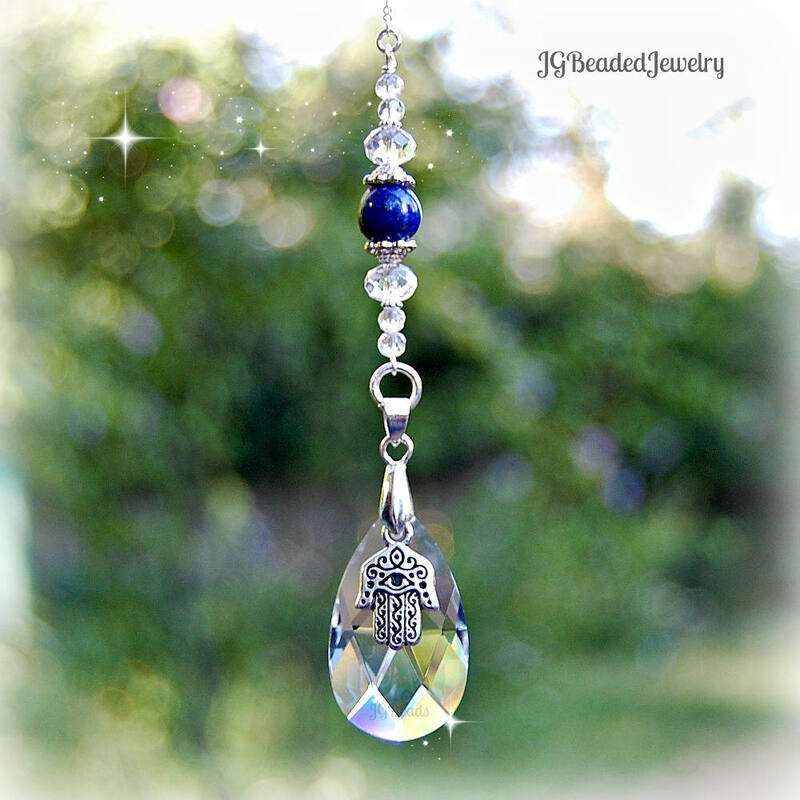 This lapis lazuli Hamsa suncatcher teardrop crystal decoration can be hung on the rearview mirror, in a window or wherever you choose. 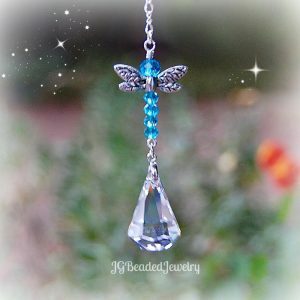 The unique decoration is crafted with a one inch clear teardrop prism crystal, a quality two-sided Hamsa (or Hand of Fatima) charm, a beautiful lapis lazuli gemstone, faceted clear crystals and fancy silver metal beads. 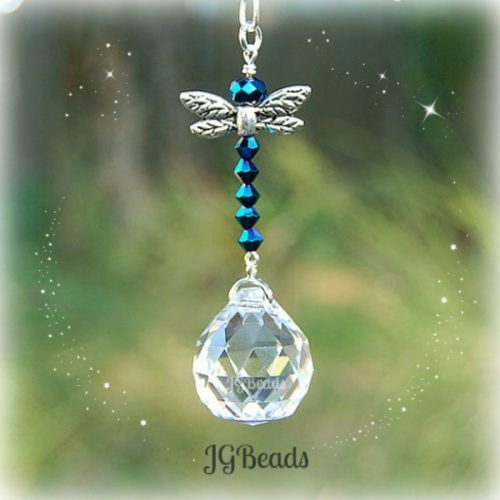 Lapis Lazuli represents wisdom, intuition, awareness and courage.